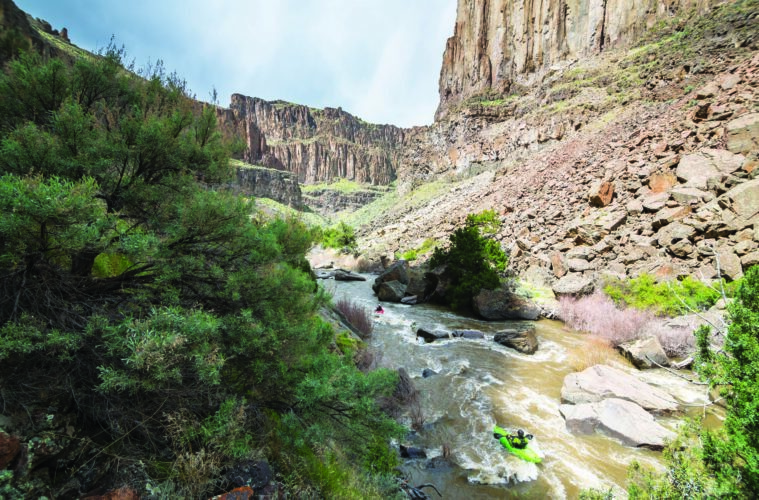 The Wild and Scenic Rivers Act turns 50 this year. It currently protects 208 waterways and 12,734 river miles in the U.S.—but it will need local on-the-ground support to keep working. When snow melts from the southeast side of Montana’s highest mountain, 12,799-foot Granite Peak, this summer, it will course through a series of alpine lakes until it becomes East Rosebud Creek. Energized by the biggest snow year in the state since 1971, the water will crash into gneissic boulders and surge beneath towering rock walls before pausing in tiny Elk Lake and again in East Rosebud Lake. From there, it will funnel headlong into a three-mile frenzy of whitewater, and finally ease into the gentle riffles of the lower canyon. If all goes as planned, 20 miles of this magnificent creek may soon be protected under the Wild and Scenic Rivers Act. It would be the only U.S. waterway designated in 2018, the 50th anniversary of the landmark river legislation that, fittingly, was conceived in the state of Montana. Conservation nonprofits including American Rivers and the Greater Yellowstone Coalition have worked with local homeowners to advocate for East Rosebud since 2009, when Bozeman-based Hydrodynamics Inc. proposed a hydroelectric dam there. After an outreach effort that included visits to Washington D.C., letter writing campaigns to state newspapers, and a film festival, the East Rosebud Wild and Scenic Rivers Act passed the U.S. Senate unanimously in December 2017. In April, it passed the House Natural Resources Committee, and it now awaits a vote by the full House, at which point it will go to the president’s desk. The Wild and Scenic Rivers Act keeps the rivers free flowing and clean, and preserves special values like scenic beauty, cultural significance, recreation and wilderness character. The act was the response to a flurry of dam building between the 1930s and 1960s, during which time most of the U.S.’s 80,000 dams were built. More specifically, after successfully fighting a dam proposal on Montana’s Middle Fork of the Flathead River in 1957, now-luminary grizzly bear researchers John and Frank Craighead began promoting an impassioned concept for a national system of protected rivers. Over the next 10 years, 16 wild and scenic bills were introduced to Congress, but it wasn’t until 1968, following passage of the 1964 Wilderness Act, that President Lyndon B. Johnson signed the National Wild and Scenic Rivers Act into law. Much of its language came directly from the Craigheads’ writings. Today, the act protects 12,734 miles of 208 rivers in 40 states and Puerto Rico. In Colorado, 76 miles of the Cache la Poudre River are designated Wild and Scenic (see sidebar), and portions of Deep Creek and the Crystal River have local support and are being considered for designation. Montana claims 368 miles of two rivers designated wild and scenic. No other river conservation law in the world rivals the act, as far as the comprehensive protections it offers, according to Scott Bosse, American Rivers Northern Rockies director. “If the Wild and Scenic Rivers Act hadn’t passed in 1968, I doubt we’d have any major free flowing rivers left in the Lower 48,” he says. Local support is integral to passage of a Wild and Scenic bill. In Montana, the grassroots Friends of East Rosebud included ranchers, kayakers, anglers, summer residents and others, and without them it wouldn’t have happened, Bosse says. Long term funding is also key, because these projects typically take about a decade to complete, if not longer. And there is work to be done. Less than one quarter of one percent of U.S. rivers are protected under the act, as compared to the 17 percent impounded by dams. Arid Western states—and Colorado, in particular, with its rapid growth and Byzantine water rights laws—sometimes resist new Wild and Scenic designations because the protection can impede new water development. The act has its limitations, too. While designation safeguards a section of river, it doesn’t shield entire watersheds, says Katherine Baer of River Network, a hub for river conservation efforts. In one example, a proposal to reopen and expand historic open pit gold mines on the South Fork of Idaho’s Salmon River threatens the Wild and Scenic stretch of the Main Salmon below. Bosse and Baer also agree that climate change is one of the biggest threats to rivers today: Drought combined with population growth will likely lead to a jump in new dam proposals. Although there is only one river on the docket for protection this year, many others are being proposed, and Congress is currently considering a bill to study Florida’s Kissimmee River for possible future inclusion. American Rivers aims to use the act to protect 5,000 additional river miles, as well as one million acres of riverside land by 2020. The ultimate goal is to have at least two percent of our rivers designated, Bosse says.